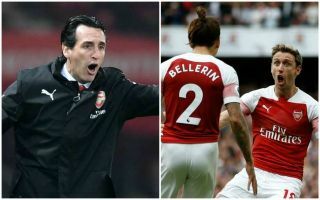 Arsenal manager Unai Emery has reportedly got his eyes on three main transfer targets to bolster his squad in a number of key areas. The Gunners have made a strong start to the season under the Spanish tactician, who replaced the legendary Arsene Wenger in the summer. However, it still seems clear there are glaring weaknesses in the squad Emery has inherited, so it’s little surprise to see he wants to improve his defence, midfield and attack in the near future. This is according to a report in the Sun, which states Emery is looking for a left-back to replace Nacho Monreal as he’s expected to leave the Emirates Stadium at the end of his contract. Emery also remains an admirer of Argentine midfielder Ever Banega from his old club Sevilla, while the Sun also claim he’s after Club Brugge’s in-form Brazilian striker Wesley Moraes. The 22-year-old looks an exciting talent after a fine recent run of form, and could be a useful addition to the squad after the recent injury to Danny Welbeck. Arsenal already have Pierre-Emerick Aubameyang and Alexandre Lacazette up front, but could do with a little more depth to cope with the long season ahead.